In this EIA interview, Jim Sleeper, author of “Innocents Abroad: Liberal Educators in Illiberal Societies,” talks about the expansion of American universities overseas—and how these ventures are testing the limits of liberal education. The Responsibility to Protect has become an established international norm associated with positive changes to the way that international society responds to genocide and mass atrocities. With only a few exceptions, states accept that they have committed to RtoP and agree on the principle’s core elements. Jamieson is interested in the real rather than the ideal world. The result is a book that is uncommonly accessible to nonspecialists, and will resonate even among those working in the trenches of climate policy. Last resort should be jettisoned from the just war tradition because adhering to it can require causing or allowing severe harms to a greater number of innocents than if an alternative, violent policy were enacted. Is anything in liberal education nonnegotiable? With numerous expansions abroad, American universities are testing these limits. In his latest work, Allen Buchanan outlines a novel framework for assessing the system of international human rights law—the system that he takes to be the heart of modern human rights practice. The book is brimming with new ideas and insights, with three main claims that have particularly interesting implications. Where did strong, adaptable, accountable states come from, and why do some countries have them and others do not? 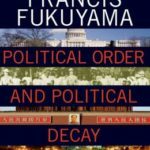 Fukuyama discusses three main paths to statehood, of which only one is sustainable in the long run. The current ethical debate about the legitimacy of migration controls would not exist but for Joseph Carens’ writing. At last the book-length version of his arguments has been released, and it has justified its long gestation.